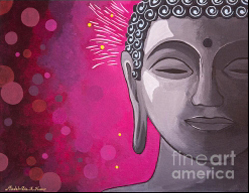 If the Buddha were here today he would probably say, “If you want to change your life, then start by changing your thinking.” In the Noble Eightfold Path, the Buddha taught that the way to happiness is to practice Right Effort, meaning that we should relinquish negative and harmful thoughts and instead cultivate positive and beneficial ones. Peace and happiness can really be one thought away provided we know which thoughts we need to let go of and which ones we should cultivate and encourage. In this video, I explain the Four Great Efforts and give you practical tips on how to practice each one.